2018 Entry form is available here! The Tidewater Charity Tournament Committee Trustees have listened to our supporters and have made changes to our 2018 fundraising events. For the last two years the trustees have struggled to understand the drop off in participation at the Labor Day Golf Tournament and to a lesser extent some of the other events we have during the year. Shortly after the 2017 golf tournament our director mailed out a survey asking for feedback regarding the tournament. We thank everyone who filled out the survey. At our 1/31/18 trustee meeting we voted to make changes that will address the concerns of our supporters. We believe the changes listed below will return the golf tournament to the level of participation it once enjoyed. Provide better communications, highlighting positive life changing services provided from TCTC fundraising events. Increase value to players in the tournament. Return full focus to supporting our military veterans and their families. Increase the invitation to veterans and their families to visit Tidewater as our guests during the Labor Day Tournament at Tidewater. 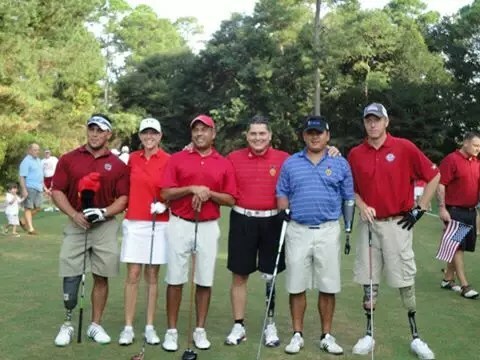 Enhance the tournament reception by highlighting veterans speakers and their families. These and other changes are intended to return the tournament back to the event that was so popular a few years ago. Pierre Rattini is a golf and real estate marketing strategist. He works with clients focusing on ROI (Return on investment), lead generation and web design. He is married to Jacqueline his best friend and business partner and has two dogs Skye "The Boxador" she is a sweet heart and Nappy (Napoleon) the most fun in 16 lbs. A Dachshund with a lot of personality.